Professor Rudi van Aarde has a professional career, devoted to wildlife management in southern Africa, that spans 44 years. In this time, he has authored or co-authored 201 peer-reviewed scientific papers, 13 book chapters, 126 technical reports, 56 popular articles, and he has presented his research findings on 197 occasions at national or international conferences and public forums, several of these as invited speaker or guest lecturer. He has supervised 67 PhD and MSc students since 1991, and 11 post-doctoral fellows completed their research under his supervision. He has been a council member of both of the major professional bodies in his field – SAWMA and ZSSA. Notably, from a SAWMA perspective, he was a council member from 1994 and served as president of SAWMA for two terms (2000-2002 and 2003–2004). During his tenure as president of SAWMA, he initiated a turn-around strategy that improved the financial position of the organization significantly, and he also drove the concept of annual meetings. In recent times, Rudi is perhaps best known for his work on the spatial structuring and dynamics of African elephant populations across southern Africa and on the determinants of the responses of coastal forest communities to ecological restoration. His research on elephants focuses on the drivers of demographic variability and heterogeneity in spatial utilization. His development of the ‘megaparks for metapopulations’ concept provides a platform for elephant management and his more recent research and publications emphasise the interactions between landscapes, habitat, management interventions and the demography of elephant. Through his publications and invited participation in specialist groups he plays a pivotal role in extending management options for elephants. Rudi’s research on the restoration of coastal dune forest, a small bioregion within the Maputaland-Pondoland-Albany biodiversity hotspot, is justified by industry’s legal commitment to rehabilitate mined landscapes. He and his team of postgraduate students continue to develop and validate sensitive indicators of restoration success based on measures of ecological responses of species and of communities. Rudi’s scientific achievements here provide a recognised scientific foundation for restoration ecology in southern Africa. His approach finds implementation in the evaluation of restoration success as a sought-after outcome of sustainable development that earmarks the activities of major mining houses throughout the world. Rudi established CERU a self-sufficient research group at the University of Pretoria in 1998. Grants and contracts that he raises from government associated organisations, wildlife departments and private industries, both nationally and internationally, provide for the employment of research fellows, support staff and post-graduate bursaries. This funding also enables the maintenance of field laboratories and running costs of with research and postgraduate training. Collaborative research strengthened his academic activity and post-graduate training programs. Rudi has served on several conservation management committees. He regularly reviews papers for high impact factor scientific journals in his field of specialisation and serves on several international research grant and evaluation committees. He frequently advises industry, government and conservation departments on conservation-related issues. The University of Pretoria has awarded him for exceptional academic achievement on four occasions, and he is a Fellow of the RSSAf. From a more personal perspective, Rudi’s passion for southern African wildlife is also illustrated by his widely recognized photographic skills. In this regard, he has received Agfa photographic awards in 2001 and 2002; and Fuji photographic awards in 2004, 2004, 2006, 2007 and 2008. His artistic work is well known to SAWMA audiences, as is his gripping commentary and passion that goes along with this. Dr John Hanks is a zoologist by training with his first degree in Natural Sciences from Magdalene College, Cambridge, followed by a PhD on the reproductive physiology, growth, and population dynamics of the African elephant in the Luangwa Valley, Zambia. He has over 45 years of experience in a wide variety of conservation management, environmental education and research projects. He has worked in several African countries, including Angola, Botswana, Ethiopia, Kenya, Mozambique, South Africa, Zambia, and Zimbabwe. His major most important postings have been: Chief Professional Officer for the Natal Parks Board; Professor and Head of the Department of Biological Sciences, then the first Director of the Institute of Natural Resources at the University of Natal; the Director of the Africa Program for WWF International (based in Gland, Switzerland); the Chief Executive of WWF-South Africa; the first Executive Director of the Peace Parks Foundation. He has published over 150 scientific papers and three books. His greatest contribution has been in providing the mentoring and leadership that has helped develop the professional careers of a great number of African Conservation practitioners, from wardens in the field to biologists, research scientists and administrators. He co-founded the MSc and Diploma Courses in Tropical Resource Ecology at the University of Zimbabwe (when it was then Rhodesia) then spearheaded the foundation and development of the Institute of Natural Resources and was its first director. Later he headed the development of the Southern African Wildlife College. During the course of his career he has supervised and examined the higher degrees for a large number of African wildlife scientists and unlike many scientists he has been a great communicator with both scientific communities and the general public. He was also a founder member of the SAWMA. Biologist in the Kafue National Park, Zambia. Biologist with the National Council for Scientific Research in Zambia. Course Organiser for the M.Sc. in Tropical Resource Ecology in the Division of Biological Sciences at the University of Rhodesia in February 1972. Appointed Chief Professional Officer with the Natal Parks Board. Responsibilities: overall supervision of the Board’s terrestrial research programme, staff of 21 professional and technical officers. Appointed April 1978 as Professor and Head of the Department of Biological Sciences at the University of Natal at the Durban campus. Appointed in 1980 as the first Director of the Institute of Natural Resources at the University of Natal. Initiated the concept of the Institute and was instrumental in persuading the major donor to purchase the buildings for it. Appointed 1985 International Projects Manager for WWF International in Gland, Switzerland. Responsible for establishing Projects Management Department (until December 1988). Then appointed Director, Aid Agency Relations, and Director, Africa Programme for WWF International. Appointed Chief Executive of WWF South Africa. He championed the planning and development of the Southern African Wildlife College. Appointed the first Executive Director of the Peace Parks Foundation. Board Member of the Southern African Wildlife College. Appointed Director of Conservation International’s TFCA Initiatives in Southern Africa. Member of the Western Cape Nature Conservation Board and Chair of the Board’s Fundraising and Development Sub-Committee. Prof Jacobus du Plessis Bothma matriculated at the Helpmekaar Boys High School in Johannesburg in 1957 and did his military service at the South African Air Force Gymnasium in 1958. He received a Bachelor’s degree in Botany and Zoology at the University of Pretoria in 1962, followed by a Master’s degree in Zoology at the University of Pretoria in 1964. He was appointed as a Professional Officer in the former Division of Nature Conservation of the Transvaal Province in 1964, and was granted salaried leave in 1965 to obtain a PhD degree in Wildlife and Fisheries Science at Texas A&M University, Texas, USA where he graduated in 1969 and returned to his post. He was seconded permanently to the new Eugène Marais Chair of Wildlife Management at the Department of Zoology of the University of Pretoria on 1 January 1970, with the rank of Senior Lecturer, was promoted to Associate Professor in 1971 and to Full Professor in 1981. He became the Director of the new post-graduate Centre for Wildlife Management in the Department of Animal and Wildlife Sciences at the University of Pretoria in 1989 until he retired in 2005. In his academic career he trained 380 BSc (Honours), 52 MSc and 11 PhD graduates in wildlife management. Among others he was a Founder Member of the Southern African Wildlife Management Association and President in 1975, the President of the South African Biological Society in 1980 and the Chairman of the Board of Directors, Tourism and Nature Conservation Corporation of Qwaqwa. 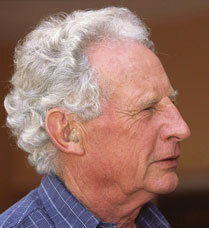 He was a member of the Board of Trustees for the Transvaal Museum, a Co-founder of The Endangered Wildlife Trust of South Africa and a Member of its Scientific Advisory Board, a Member of the Advisory Board of the Mammal Research Institute of the University of Pretoria and a Founder Member of the Southern African Institute of Ecologists and Environmental Scientists. He also was the President of the University of Pretoria Rugby Club. He received the Award as the Best Senior Student in Biology at Helpmekaar Boys High School, was a Welder Wildlife Foundation Fellow in Texas, USA, received the Senior Captain Scott Memorial Medal for exemplary biological research from the South African Academy of Science and Art, received the Order of the Bataleur for his contributions to wildlife production and conservation from the South African Hunters and Wildlife Conservation Association, received the prestigious Tuks Alumni Award of Excellence from the University of Pretoria, was Listed as a Notable Alumnus of the University of Pretoria and was nominated for the Bill Venter Literary Award for his Game Ranch Management books. He was rated as a researcher by the National Research Foundation. To date he has been the editor, author, co-author or contributor to 21 books, the author or co-author of 102 refereed scientific papers, and the author of 246 popular science papers. He has presented 37 papers on national and 29 papers on international conferences. 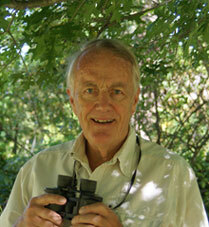 He is still active as a national and international wildlife consultant and writer. 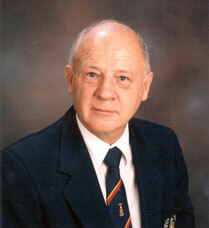 Norman Owen-Smith has been a highly acclaimed (A rated) scientist in South Africa and internationally for many years. When it comes to understanding adaptive foraging by various herbivores, with his development of the functional generic resource concept that can be applied to both browsers and grazers and various combinations, Norman has taken the field far beyond the over-simplified concept of wet and dry season resources. At the time of his retirement he was Research Professor in African Ecology at Wits University, and still continues to be actively involved in research. His research focus has been on the ecology of large mammalian herbivores, their interactions with vegetation, applications of optimal foraging theory to consumer-resource interactions and population dynamics, with special reference to African savanna ecosystems. He has produced three scientific books. His publication record in scientific journals is remarkable and stands at 237, many of them in high quality journals such as Ecology, Journal of Ecology, Journal of Animal Ecology, Oecologia, American Naturalist, as well as a number in our own journal. His earlier work was on megaherbivores and the allometric effects of scaling on ecological processes, the topic of his first book Megaherbivores (1988). This work deals with the ecology of the largest land mammals and is of particular relevance to the management of elephants and their impact on ecosystem processes, and one that has been of considerable interest to scientists and managers in a number of areas in southern Africa, including the Kruger National Park. It also provides an ecological perspective to the other side of the megaherbivore coin; that of the rapidly declining conservation status of elephants and rhinos and the ramifying effects of human beings on ecosystem processes. His third book Introduction to Modelling in Wildlife and Resource Conservation (2007) is a handbook which provides students and established researchers with the skills to develop their own models for application in conservation biology and wildlife management. Its strength lies in the fact that it assumes no special mathematical expertise; the computational models are kept simple and show how to develop models in both spreadsheet and programming language format. Latterly he has become a master at data trawling and has made excellent use of the extensive monitoring programs in Kruger, using the data productively, in conjunction with SANParks and other scientists, through the application of a number of models, to help them understand and interpret many of the complex relationships and ecological processes in the ecosystem. Predation impacts and food-webs, causes of decline in roan and sable antelope and the influence of annual rainfall on the herbivore populations are some of the aspects that have been discussed. Much of this work would not have been published were it not for his enthusiasm and generosity in encouraging and helping fellow scientists and colleagues to use their data constructively. Apart from his notable achievements and influence through his publications he has also supervised a number of PhD students, some of who have gone on to make their own contribution to wildlife research in Southern Africa; for example Johan du Toit and Angela Gaylard. 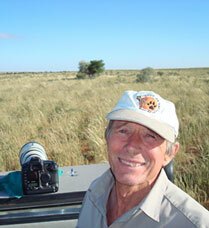 Dr Gus Mills has spent over 40 years conducting research on large carnivores in southern Africa. His initial work was on brown and spotted hyenas in the Southern Kalahari, culminating in the publication of Kalahari hyenas: the comparative behavioural ecology of two species in 1990. He studied lion and cheetah feeding ecology, ecological relationships among the large carnivores. 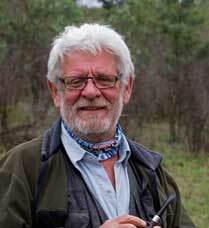 His research on wild dog population ecology in Kruger National Park ran for 15 years. a study on urban brown hyaenas in Gauteng. In 2006, Gus took up the position of research fellow at the Lewis Foundation, South Africa, and he and his wife Margie returned to the Kalahari to undertake a 6-year-long cheetah study to better understand the demographics of the cheetah population, as well as their feeding ecology, land tenure system, mating system, and mortality and limiting factors. He has recently published a book summarising his findings and comparing his results with the results of cheetah research in the Serengeti. Gus has contributed immensely to the development of young wildlife conservationists in southern Africa, through his supervision of a seven PhD and five MSc theses on aspects of lion, cheetah, wild dog, brown hyena, honey badger and African wild cat behaviour and ecology. He is a prolific writer and has contributed immensely to the literature on large carnivores. At last count, his outputs have included seven books (including two, Hyena Nights and Kalahari Days and A Natural History Guide to the Arid Kalahari with his wife Margie) and over 140 scientific papers. Gus has been a contributing editor for several esteemed scientific journals, and has been an active member of the Editorial Committee for the South Africa Journal of Wildlife Research (now African Journal of Wildlife Research) since 2001. He is an accomplished spokesperson for large carnivores and has delivered more than 90 talks at conferences and symposia worldwide. Gus is a senior member of several IUCN Carnivore Specialist Groups, including former chairman of the Hyena Specialist Group, and member of the steering committees of the Cat Specialist Group and the Canid Specialist Group. He has served as a member on several boards of scientific journals and conservation organisations. Dr Neil Fairall, who passed away on 25 May 2015, was a founder and honorary life member of SAWMA who played a very significant role in SAWMA as longest serving council member in various capacities as president, scientific journal editor and ordinary council positions. He was a man of high standards, committed to conservation and research. Neil finished his schooling at Pietermaritzburg College in KwaZulu-Natal and started his working career on Nuanetzi Ranch in southern Zimbabwe (then Rhodesia) working with cattle. In 1960, he was employed by the National Parks Board as a game ranger (technical assistant) in the north of the Kruger National Park (Shingwedzi). After completing his BSc(Agric) at the University of Pretoria, he started working as biologist in Skukuza. He left the National Parks Board in 1970 to head the research section of the then Cape Provincial Nature Conservation Department. 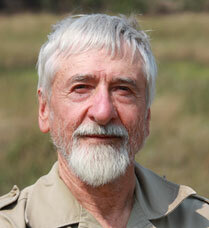 In 1977, he joined the Mammal Research Institute as Senior Research Officer at the University of Pretoria. His research interests were herbivore/plant interactions, with specific reference to elephants and hyrax. After 6 years at the University of Pretoria, he moved back to the Western Cape in 1984 to be employed by the Cape Provincial Nature Conservation Department’s Scientific Services at their Jonkershoek (Assegaaibos) Station until his retirement in 1995. Shortly after his retirement, Neil was appointed as Coordinator of a part-time Honours course at the Forestry Faculty of the University of Stellenbosch in 1996. This was followed by his last appointment with the Conservation Ecology Research Unit (CERU), Department of Zoology & Entomology, University of Pretoria, where he was tasked with postgraduate student support from 2000 to 2005. Instrumental in the establishment of the Kogelberg Biosphere Reserve (KOBIO).